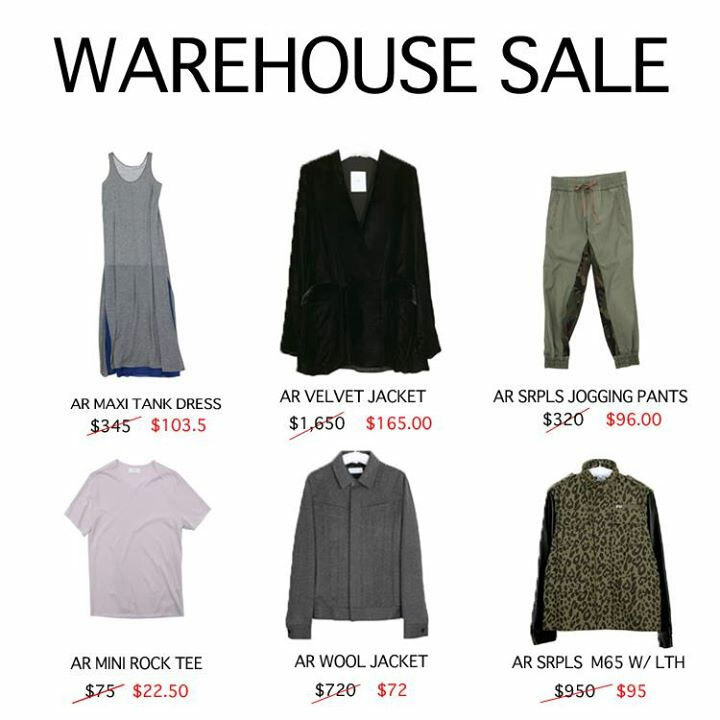 WHY: Save up to 70-90% off all merchandise at the Aloha Rag Warehouse Sale. WHY: Up to 90% off women’s and men’s merchandise at the Aloha Rag Sample Sale. 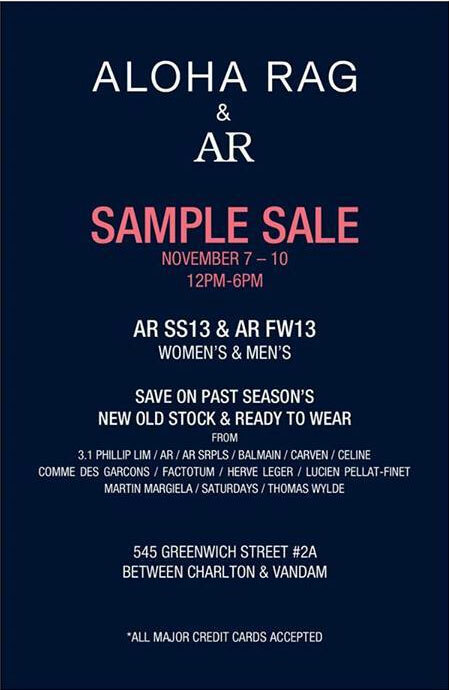 WHY: Up to 80% off AR SS13 & AR FW13 women’s and men’s merchandise at the Aloha Rag & AR Sample Sale. Save on past season’s new old stock and ready-to-wear from 3.1 Phillip Lim, Aloha Rag, Balmain, Carven, Comme des Garçons, Factotum, Hervé Léger, Lucien Pellat-Finet, Maison Martin Margiela, Saturdays, Thomas Wylde, and more.